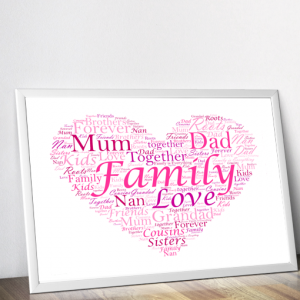 Create your own personalised ‘MOMMY’ photo print to make the perfect gift for any mom. To go on the top line of your print. 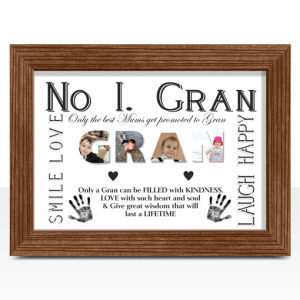 This personalised ‘MOMMY’ photo print makes a lovely gift for any mom. 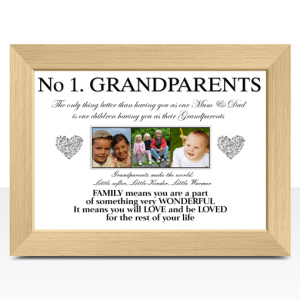 You get to add your own photos & text to create your own one of a kind Mommy photo frame. Makes the perfect mommy gift idea. 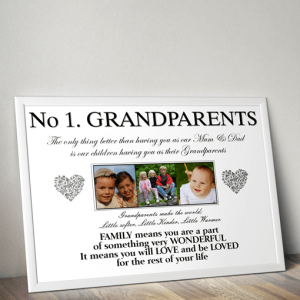 Every print is personalised just for you. 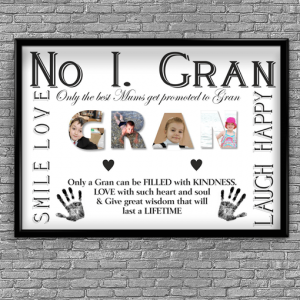 Each letter will customised with a photo of your choice. The text can be changed to what you require. Choose which frame you want. Choose which text version you require. Add 5 photos to create the word M O M M Y *. 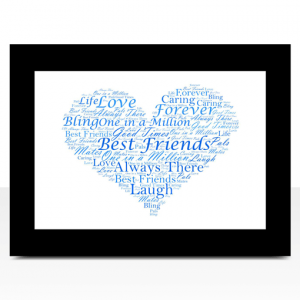 Finally, add any text that you want added to the bottom of your print (Optional).